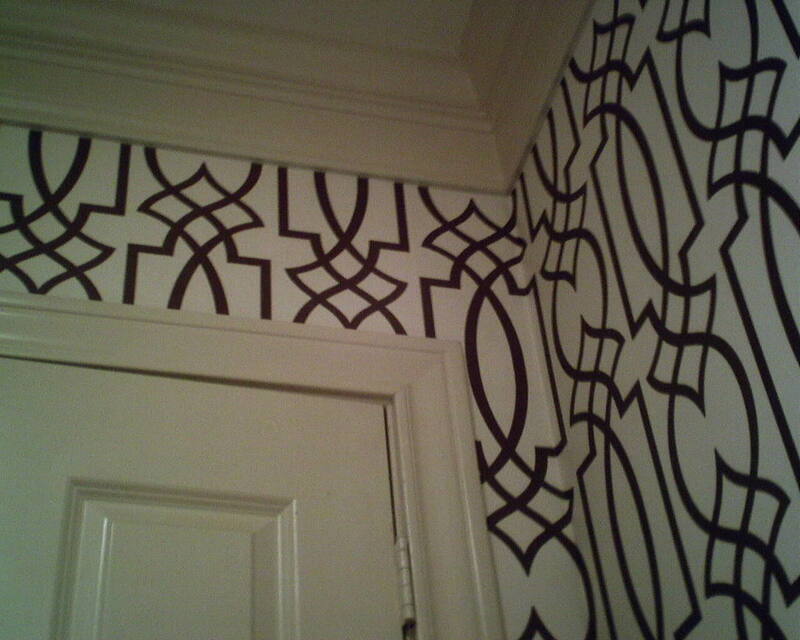 As you hang wallpaper around a room, once you arrive back at the corner where you started out, virtually always, this last corner will have a pattern mis-match, and so you place it in the least conspicuous place. In this powder room in Montrose, I put the mis-match in the corner over a door. It was a mere 11″ high, and was only off by a half an inch or so. (Photo I) But I knew I could make it look better. 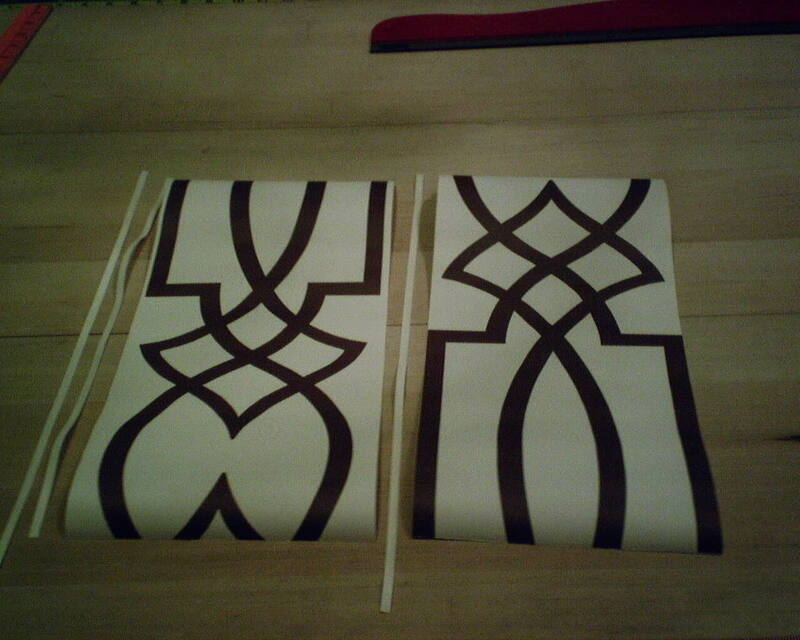 To get the pattern to match, I would have to slide the strip on the left about a half an inch to the right. But doing that would leave a gap on the left side, with the wall showing through. Since there was no pattern to match across the seam, I didn’t have to worry about a pattern mis-match there. So I decided to “grow the paper,” by splicing in some narrow strips of background colored paper. 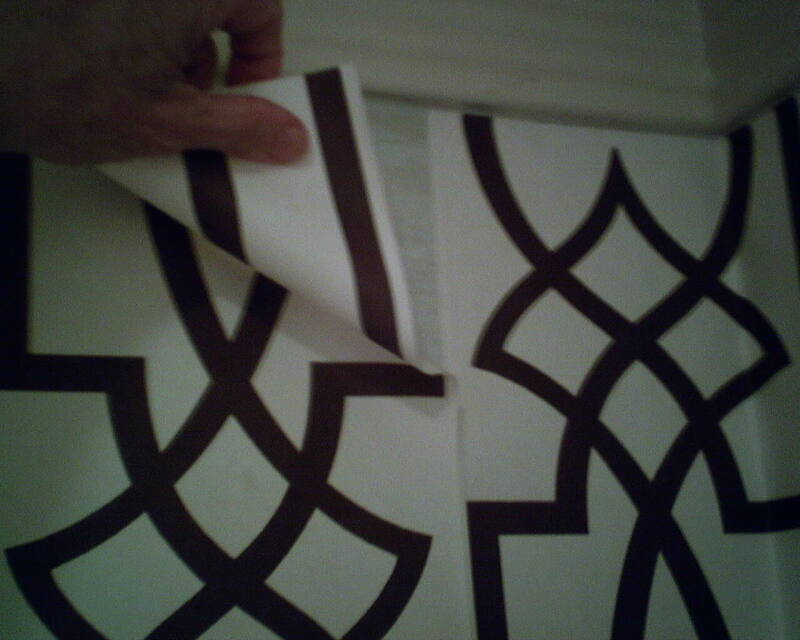 I cut the 13.5″ wide strip of wallpaper in half vertically. That allowed me to disperse the spliced area across more space, making it less eye-jarring. I dug some scraps of left over paper out of the trash and trimmed them to 1/4″ wide. 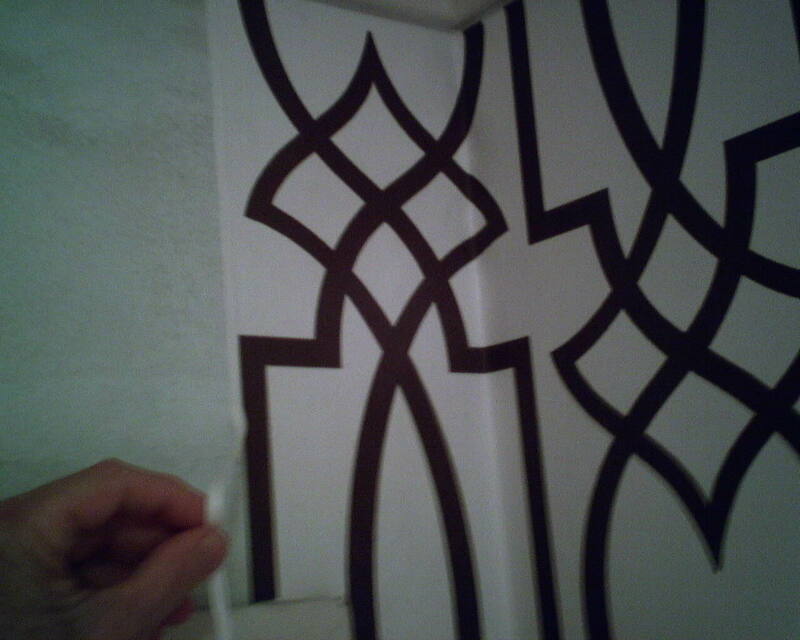 These were used a spacers in between the 6.75″ wide strips of wallpaper. 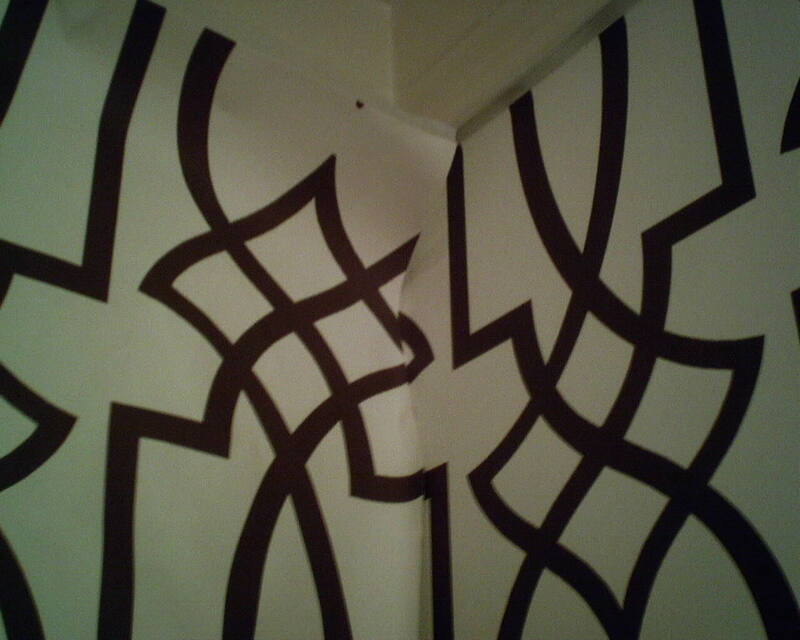 Two of them, plus a teeny bit of overlap, were just enough to space out the wallpaper pattern, so that the pattern matched perfectly in the corner on the left, and still maintained the proper pattern in the strips over the door. From below, you sure cannot tell that some of the white areas are wider than others. And you can’t notice the slight ridge from the overlapped areas, either. This entry was posted on September 7, 2015 at 4:33 am and is filed under Uncategorized. You can follow any responses to this entry through the RSS 2.0 feed. You can leave a response, or trackback from your own site.